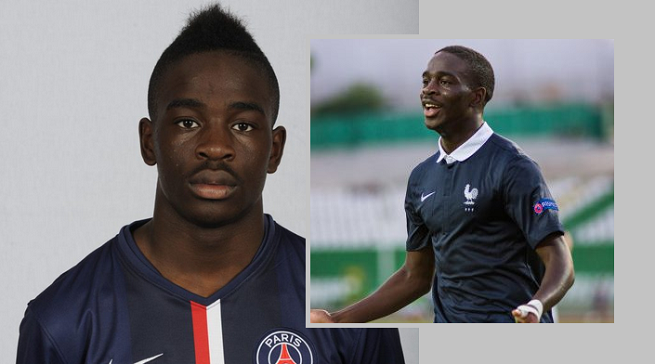 The teenager midfielder, Jonathan Ikone reportedly signed his career first professional contract with PSG . PSG officially made an announcement where they disclosed about the deal of Ikone. It is also proclaimed by the club that he has signed a three year contract deal which will be kept him on the side till 2019. Jonathan seemed very excited for his first contract. He expressed in PSG official side that was honored by the vote of confidence, which was a source of great pride for him. He also mentioned that to turn professional ambitious club like Paris Saint-Germain such a massive stack for the teen ager and he would be able to learn many potential strategy by playing under the experience player of the team which would help him to build his career in the ideal conditions. Nasser Al-Khelaifi who becomes the president of PSG club exclaimed that Jonathan was great and potential midfielder and his signing in the PSG side became the indication of the club’s willingness putting faith in young heros and it is the process of building the younger future. The Frenchmen is very talented and artistic soccer. Though he is a midfield but often seemed to play as forward. His attacking policy is very powerful and strength. He is the man who was drafted in french under 17 for his great ability. For his phenomenal performance numbers of leading football club like Manchester City, Juventus and Liverpool has shown their interest to purchase Ikone in their side. But finally the deal has been completed by Paris Saint Germain. The report says that the deal was beneficial for both side. The one more rumor spread out in summer transfer windows. It is learnt by the source PSG eye on Barca Brazilian star Neymar on their side. According to the source Neymar will be replaced Zlatan and they could steed a £153 million release clause for the Brazilian striker who scored of 31 goals in this season for Barca side. This is a big offer of the side and if the deal complete, it will be the biggest deal of the season. Since the year inception the Neymar transfer rumor spread out on the air but Barca yet not sound for the deal. So no official announcement made for the rumor. FC Barcelona became the team of very professional and know the business very well. So they carefully save their thrice (Messi, Suarez and Neymar) strength packedge. Let’s see what happen in the next and keep eyeing in our site.